Shoryu Ramen first caught my eye when I was waiting for a bus & saw this long queue outside their restaurant. Queueing outside a ramen bar is a popular scene in the far east, like in Hong Kong. But this was the first I saw in London. So I was definitely intrigued. 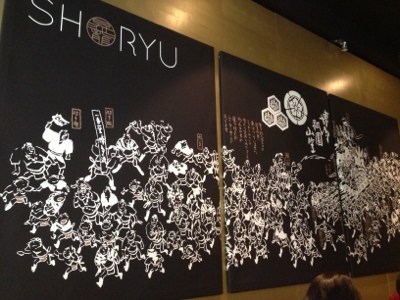 Is Shoryu Ramen really worth queueing for? 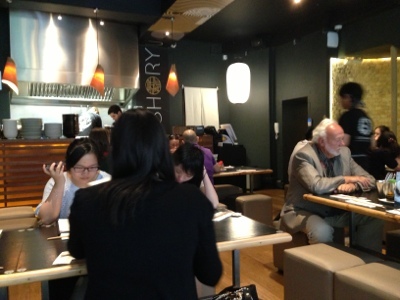 Or are they just another Wagamama? I went to both of their restaurants on Regent Street & Soho (just off Shafetesbury Avenue). They also have an "express bar" across the road from their Regent Street restaurant, which is a self service bar. During the two visits, I tried a handful of their dishes. 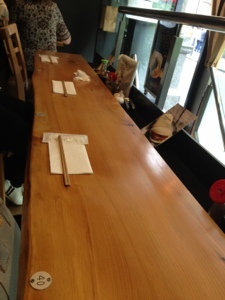 But before talking about the noodles, I want to mention the condiments that they have on the table. 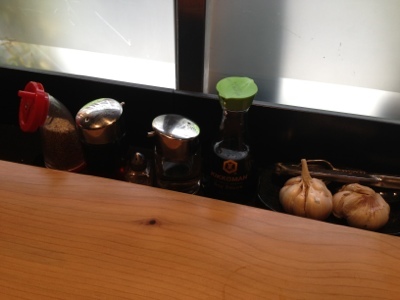 Soy sauce & sesame are the usual bottles you would have, but in Shoryu, they also provide bulks of raw garlic (with garlic crusher) for customers to add into their noodles! 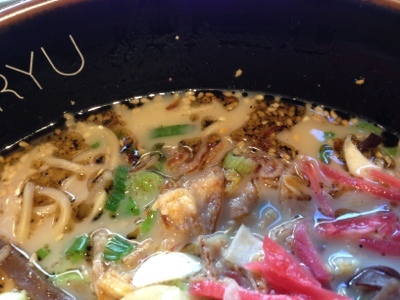 This is their signature Ramen. 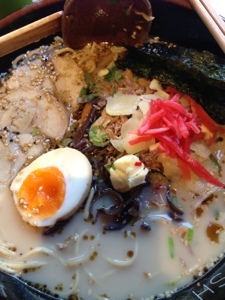 Tonkotsu means the noodles is in a rich pork broth. This is my favourite broth based. The ramen was cooked to al dente (just like pasta), not too soft, not too hard; the pork slices were melt in the mouth, the half egg was soft boiled; but the star of this bowl was definitely the broth - it was rich & creamy, possibly a touch salty if I were being picky. I finished all the broth! (If you are still hungry, save some broth & you can ask for an extra portion of noodles into the broth for £1.50). 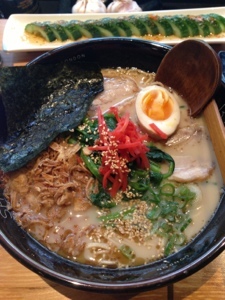 This is a typical ramen & I am LOVING IT!! Apart from noodles, they have other side dishes that are worth to try.. The green drink at the corner was Iced Matcha, very refreshing. Firstly was the presentation - how elegant it was to be presented & served on a long thin dish! Young, fresh, crisp cucumbers sliced with a touch of sea salt & sesame oil. It was such a simple dish but so tasty & fresh! 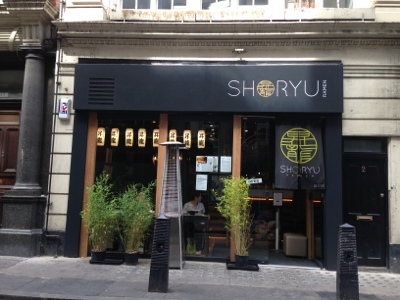 These are one of the best Japanese dumplings I have tried in London (the best are Sakura on Conduit Street). Problem with most dumplings are the pastries are too thick, and the meat inside are dry. Shoryu dumplings are completely the opposite - the pastry was so thin yet not broken after pan fried, and the minced pork inside was so juicy! They came with a chilli vinegar dipping sauce, perfect!! 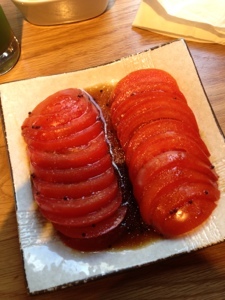 Yuzu is grapefruit, mixed with a kick of wasabi in a dressing & pour over raw tomato should be a fresh mix. I was a bit disappointed by this dish. Couldn't taste the Yuzu flavour, the wasabi taste was so mild that almost undetectable, all I could taste was the soy sauce. The dish was served in room temperature, I personally would prefer it to be served chilled to enhance the freshness of the dish. 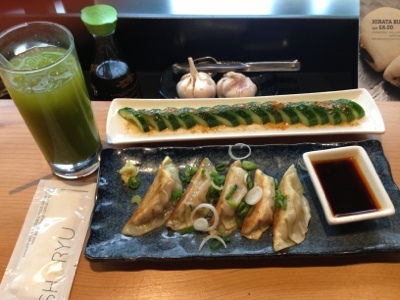 Overall, Shoryu doesn't disappoint. Does it worth queueing for? Hm... as it is a "dry queueing" (i.e. there isn't a bar area to have a drink while waiting, you can only stand outside the restaurant & wait), so I would only give it a maximum of 10 mins if I had to queue. The restaurant runs on a first come first served based, no booking taken, so if you are thinking to go as a group of 6 or above, you'd better have a back up plan.